POLITICAL TIDBITS: Is shift to parliamentary system to retain Noynoy Aquino in honorific role as president, with Mar Roxas or Franklin Drilon as powerful PM, inevitable? Speaker Belmonte confident of support of ¾ of LP-controlled House for cha-cha on eco provisions, but once flood-gates open, parliamentary shift would be unstoppable. Speaker wants plebiscite on eco amendments simultaneous with 2016 elections, but insiders say it will be mere ratification of parliamentary shift. It's a done deal and LPs have no intention of giving up power. Is shift to parliamentary system to retain Noynoy Aquino in honorific role as president, with Mar Roxas or Franklin Drilon as powerful PM, inevitable? Speaker Belmonte confident of support of ¾ of LP-controlled House for cha-cha on eco provisions, but once flood-gates open, parliamentary shift would be unstoppable. Speaker wants plebiscite on eco amendments simultaneous with 2016 elections, but insiders say it will be mere ratification of parliamentary shift. It's a done deal and LPs have no intention of giving up power. Reports from the House of Representatives attest that attendance at plenary sessions is dwindling---in fact the office of Speaker Feliciano Belmonte has to go through the motions of calling the offices of the solons to ask them to attend sessions. But this does not help---it is noticeable that more of them attend the committee hearings than the plenary sessions. I’ve tried to analyze why, and one reason could be that with the disclosure of the respective lists of Janet Napoles and Ben-Hur Luy, claiming that more than 100 House members are involved in the PDAF and fake NGO scams (there could be more perhaps if the contents of those lists were not edited), many solons are ashamed to be seen in public. There is this stigma now surrounding the politicos in both chambers of Congress due to the scams, but indeed, maybe they should really be ashamed of themselves. Another reason could be that House solons hold a tampo with Speaker Belmonte inasmuch as his attitude toward the involved representatives has been, reports say, bahala kayo sa sarili ninyo. After all, an insider notes, the House Chief feels that much of the scams happened before he became speaker. This bahala-kayo attitude of the Speaker could be challenged, though, if reports are true that the move to effect charter change, which he leads, is already a done deal, and that all that’s needed is ratification of the amended provisions. More so would he need House support IF IT’S TRUE that the basic aim of the cha-cha move is not just to amend the economic provisions of the 1987 Constitution, but to secure another term for President Aquino after 2016. Seeking another term for President Aquino at this time sounds like an insane and wild proposition, given his immense unpopularity because of the PDAF and DAP scams; but there is apparently such a move brewing for a number of reasons. As I said earlier, Speaker Belmonte came out quite early on, together with a number of other solons, advocating charter change to open the economy to foreign investments---by removing certain restrictions on ownership of utility infrastructure from 60-40% in favor of Filipinos, to a bigger share for foreign investors. But it’s generally accepted that once the floodgates to cha-cha are flung open, there’s no stopping any issue or topic to be introduced in a constituent assembly of the legislators. In fact lately, rumor that cohorts of P-Noy are pushing for another term for him gained currency when this subject began to be floated in social media and discussed in various forums. Despite negative reactions on FB, the query on whether the public wants another term for P-Noy comes back and forth like a tiring refrain. The rationale behind this move to give P-Noy another term is that in a shift to parliamentary--- which has been discussed for so long now and advocated by many thinking Filipinos for its merits over decades---the President could retain his current title; but it would be largely honorific, since the real power would be held by the Prime Minister who will be elected by his legislative peers. It is commonly presumed that in a parliamentary shift P-Noy will support Mar Roxas, who gave way for him to become President in 2010. But if Roxas’ candidacy doesn’t fly, again the popular belief is that the ambitious Senate President Franklin Drilon would gun for that post. At any rate, the idea is to keep power in the hands of the Liberal Party, be it still the presidential system or the parliamentary, for one good reason: with all the violations of the law indulged in by the Aquino administration, the likelihood is that P-Noy could end up in a Gloria Arroyo scenario---prosecuted and detained indefinitely. In fact the joke now is that the other wing of the Veterans Memorial Hospital is being repaired to accommodate another distinguished patient. Political sources note that since this administration has been fueled by public funds converted into bribes, the LP has wisely been working to keep the two largest but covert revenue-yielding agencies of government within its control. These are the PCSO and Pagcor. Whatever one may say about Margie Juico, some people feel it's still better to keep her as PCSO Chair because there could still be some shred of idealism and decency in her. But no, she was apparently forced to resign (owing daw to the Mar Roxas-Wack Wack episode) and the chairmanship of PCSO will reportedly be given to former Cavite Gov. Ayong Maliksi, the LP Secretary-General. A total politician. What’s more, there’s talk that controversial Pagcor Manager Naguiat is on his way out and the one reportedly feverishly working hard to replace him is former senatorial candidate Risa Hontiveros. All Pagcor officials are to step down July 2. In other words, if some analysts are to be believed, both super fund-raising agencies would be in the hands of very hand-picked subalterns for a strategic reason: total party control for the future. This could arise from the realization by LP strategists that support from both chambers of Congress for a shift to parliamentary—by convening Congress into a constituent assembly--- would need enormous amounts of funds. So will a saturation drive at the grassroots care of friendly media, in terms of a plebiscite, as the Constitution provides. House insiders attest that amending the Constitution to allow a shift to parliamentary is already A DONE DEAL. The Committee on Constitutional Amendments which handles charter-change is chaired by Rep. Millen Garcia-Albano, a bar topnotcher and rabid P-Noy lieutenant from two political clans (she’s the daughter of former Davao Rep. Nonoy Garcia and married to Rep. Rudito Albano, son of former Rep. Rudy Albano of Cagayan Valley). Her committee has already conducted four sessions on cha-cha. A few days ago, the Daily Tribune quoted Speaker Belmonte as saying that the plebiscite for charter-change could be held simultaneous with the 2016 presidential elections. 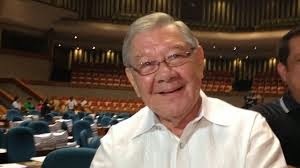 His rationale is that “putting in the additional questions on the ballot would save the government funds and resources for conducting a separate plebiscite.” Belmonte was quoted as being confident that three-fourths of the House, or 218 of its 290 members, would vote for the (economic) resolution, unless President Aquino actively campaigns against it. House observers I spoke to believe that what will take place in May 2016 will not be an election, but a RATIFICATION of the constitutional amendment for a parliamentary shift. This is because the LPs control the House and opening the Charter to economic amendments would inevitably and unstoppably lead to a shift in governing system. It’s a done deal, they say. Former Chief Justice Reynato Puno had in past years led the move to convince the public to go for charter-change and support a shift to the parliamentary system. But a few days ago I read in the newspapers that CJ Puno is now saying that amending the Constitution is not opportune at this time. This has confused some of his followers. I haven’t spoken to CJ Puno about this, but I am just speculating that he has shifted position on charter-change for the moment as he may have realized or read the intent of some powerful blocs in Congress to control events, as discussed above. How the growing public support for a crowd-sourced Constitution, led by the mass-based BayanKo and leaders like journalist Carmen Pedrosa, would react to the moves in Congress bears watching. One thing sure, it's a race against time---citizens should move, as otherwise it will be the same discredited politicians tightening their grip on our hapless country.